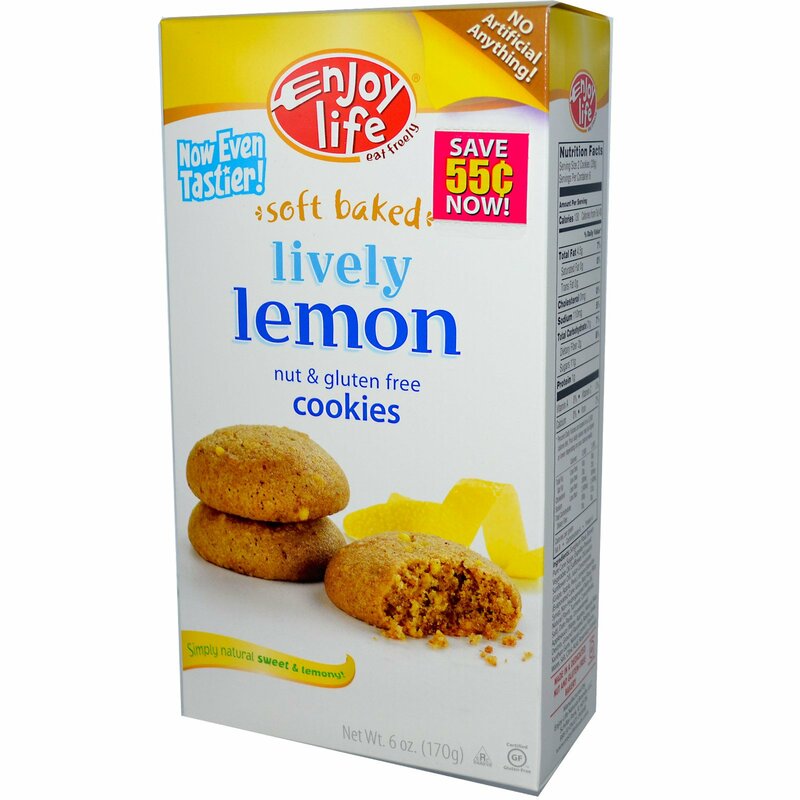 Simply Natural Sweet & Lemony! At Enjoy Life, our whole business is making smile-good foods that keep people's insides happy. That's why all of our foods are specially made to be gluten-free and free of the 8 most common allergens. Our goal is to make delicious products that just about everyone can eat freely. We promise they'll make you smile inside out! Also made without casein, potato, sesame and sulfites. 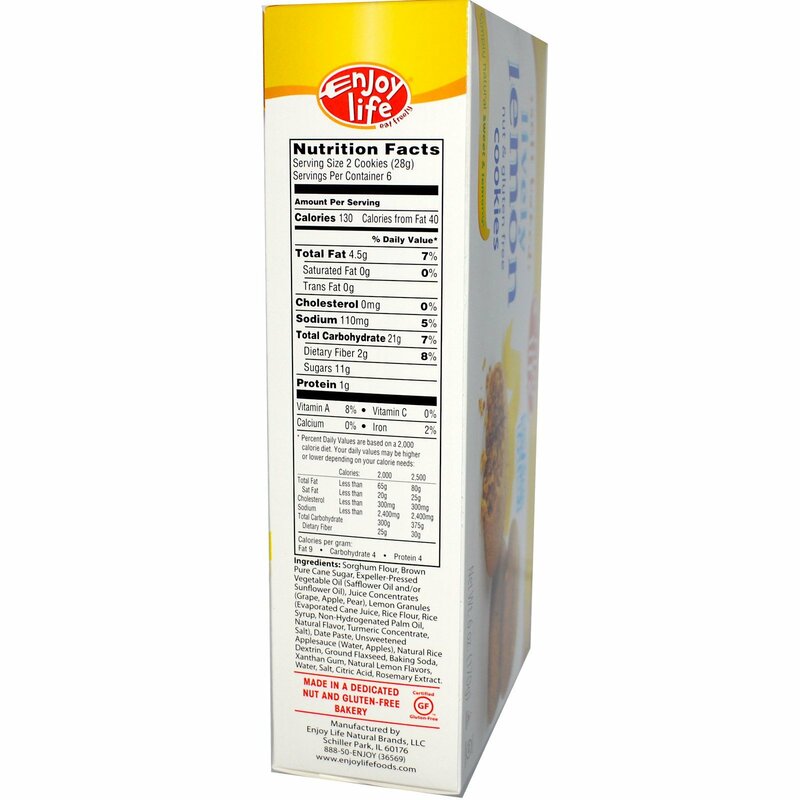 Sorghum flour, brown pure cane sugar, expeller-pressed vegetable oil (safflower oil and/or sunflower oil), juice concentrates (grape, apple, pear), lemon granules (evaporated cane juice, rice flour, rice syrup, non-hydrogenated palm oil, natural flavor, turmeric concentrate, salt), date paste, unsweetened applesauce (water, apples), natural rice dextrin, ground flaxseed, baking soda, xanthan gum, natural lemon flavors, water, salt, citric acid, rosemary extract.